Wiring in a new power cord for your electric dryer? 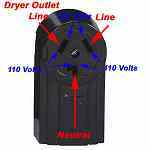 Upgrading your electric dryer outlet from the old three-prong to the new four-prong outlet? Well, grab hold of those two large lumps at the base of your spinal cord and let’s romp through the wild and wacky world of dryer cords and outlets. 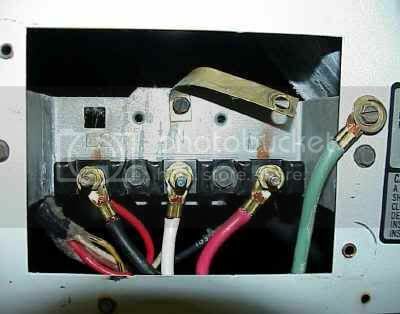 These two pictures illustrate the power wiring on a the terminal of an electric dryer. The one to the left here is the old-style three-wire configuration. Most people have this type in their homes. New code changes, though, require that dryers now have a four-wire cord, shown to the right. These are just just thumbnail pictures that you can click for a larger view. But I’ll bet you already figured that out, didn’t you? Besides the number of wires in each cord, there are two important things to notice. 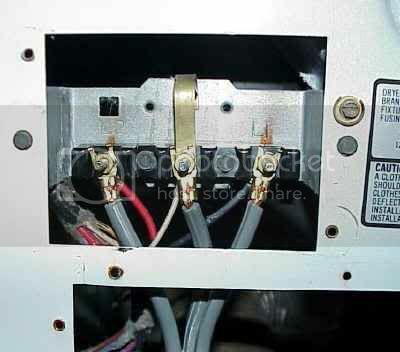 First, in the four-wire configuration, notice that the dryer’s grounding strap is folded back on itself. The whole point of the four-wire cord is to separate the ground from the neutral. The green wire (the “new” extra wire in the four-wire cord) is attached to the dryer cabinet. In the three-wire configuration, the grounding strap is left intact and the neutral and ground are tied together. If you need to re-wire the outlet, these pictures will explain the anatomy of the three-prong (left) and four-prong (right) outlets. Once again, these pictures are just thumbnails–click ’em for a larger view. One more thing. 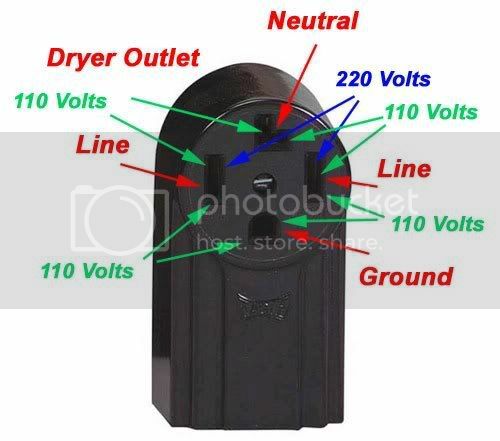 All these pearls of dryer cord wisdom apply only to electric dryers–gas dryers use a standard 120v wall outlet. Recommended reading: Electrical Requirements for Appliances. For more information on your dryer or to order parts, click here. This entry was posted in Dryer Repair on August 28, 2004 by Samurai Appliance Repair Man.